Catch a World Premiere Hallmark Hall of Fame Presentation of “LoveLocks”, January 28th. Rebecca Romijn and Jerry O’Connell star in this amazing movie. 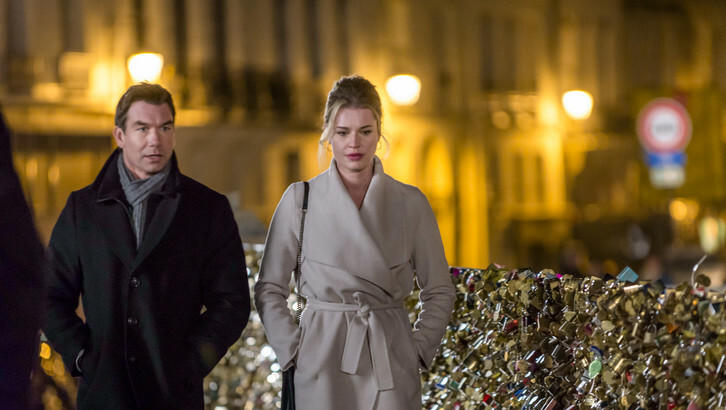 The real life husband-and-wife filmed the Hallmark Hall of Fame presentation on location in Paris. Romijn plays Lindsay, a woman who studied art in France years ago but returned to New York to become the editor of an art magazine after a broken promise with her then boyfriend, Jack (O’Connell). Now, Lindsay returns to Paris with her teenage daughter, another gifted artist, and runs into that old boyfriend, who’s now a hotelier and, judging from the promo, also a romantic. You won’t want to miss this one. JANUARY 28th.